The Icecrown Citadel: Gunship Battle seems fun, but it is not so easy with all the things going on at once in 10-players mode. People will get the hang of it eventually, but it will take some trial and error time. First, when reaching the Rampart of Skulls, you will now find trash mobs. The Alliance and the Horde NPCs are fighting in this area. You get to help your faction NPCs, and there’s a Frostwyrm between you and the Gunship. The Horde Gunship is to the right, and the Alliance Gunship to the left. Everyone should first talk to the goblin or the gnome to grab a Rocket pack. Open the inventory, and drag the Rocket Pack icon to your spellbar. 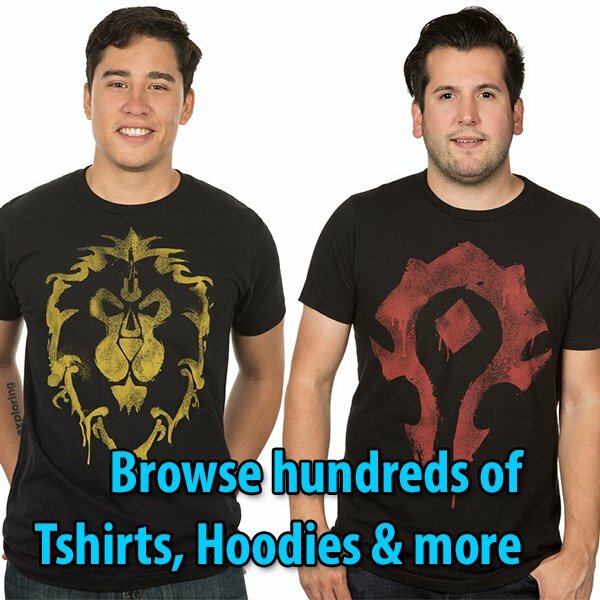 When everyone is ready, talk to either Saurfang or Muradin Bronzebeard. He will start the event. The Gunship will start moving around the Icecrown Citadel. In the air, you will see on the east side the opposite faction’s Gunship approaching. All melee should stand by the center where a Warlock-like portal opens up. Alliance or Horde NPCs will spawn there. Make sure to drag them a bit back if Saurfang or Muradin haven’t aggroed. They will help you clear that wave of enemies. Very important for the tank and melee players who are too busy spamming buttons … watch your feet. Every two seconds you will see orange runes form on the ground. These are cannons aimed at you. Within a few seconds, a rocket will land on the target. Move away asap. If you are a caster, stop casting and move. This is what kills players the most. Caution is always an advantage. At some point when your team is fighting the mage on the enemy Gunship, a sergeant will teleport to your Gunship. The Tank should make sure the friendly boss aggroes to help, and try to keep this Sergeant all the way back, or on the front behind the engine. Make sure to tell your team to stay clear. This Sergeant does a whirlwind that instantly kills any cloth player. In between running around dodging rockets falling to the ground, and dps’ing enemy NPCs, it is easy to walk in into harm’s way when the Sergeant is casting whirlwind. Beware. This is another critical point that might cause a wipe. When Muradin or Saurfang yell for a mage to neutralize the cannons of the opposite team, that’s your queue. Set four DPS players and a healer to jump to the enemy Gunship using the Rocket Pack. Your goal is to kill the mage. This mage is channeling the spell that keeps your cannons frozen in ice. The key to this event is to enable your cannons to shoot the enemy Gunship. Eventually, the enemy will retreat. Your Gunship will then move to the upper tier of the Icecrown Citadel and unload the ladder to allow pass into the next area of the dungeon. View some of our screenshots. The two videos may be watched after the break.